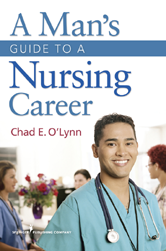 This is a nuts and bolts guide to a career in nursing--from the earliest consideration of a nursing career through education and clinical practice--designed specifically for men. Part I. Why Men? Why Nursing? Why Now? 1. What Can Nursing Bring to You? 2. Men in Nursing-It's NOT Something New! 3. Does Nursing Put Out the Welcome Mat to Men?